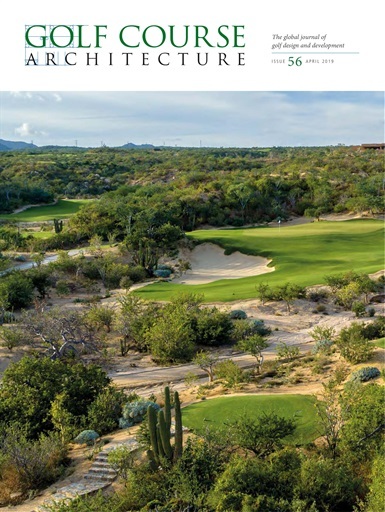 The cover of the April 2019 issue of GCA features the new Twin Dolphin course in Los Cabos, Mexico. Inside, Adam Lawrence reports on a recent visit to the layout, designed by Todd Eckenrode alongside pro golfer Fred Couples. Elsewhere in the issue, we interview Kyle Phillips, finding out more about his design philosophy and approach to renovation work. And we hear about the career of Ron Prichard, the father of restoration.